Conjunctivitis is also referred to as red eye and is quite common. It is also called infectious conjunctivitis. The front of the eye is covered with a thin tissue layer which gets red and inflamed. It can either be bacterial or viral conjunctivitis depending on the causative factor. When pink eye is caused by irritation or allergens, it is not contagious. Pink eye causes watering in the eyes and itchiness. When caused due to allergy, there is a sticky coating on the eyes. Incubation period for pink eye is the time frame when the transmission happens and the symptoms begin to show. Once the eye gets infected by bacteria or virus, the symptoms do not appear immediately. The incubation period for viral infection is 12 hours to 3 days. When caused by bacteria, the symptoms appear after 1 – 3 days. 1. Is Pink Eye Contagious During Incubation Period? Pink eye caused by virus or bacteria is highly contagious, but during the incubation period for pink eye, it is not contagious. Bacterial conjunctivitis becomes contagious when the symptoms start to appear and continue for 24 hours after an antibiotic is given. For viral conjunctivitis, it is contagious from the time the symptoms appear and last for around 14 days. 2. What Happens After Incubation Period? Usually treatment is not required for conjunctivitis as it heals in around a week. The treatment, if required, depends on the cause of the infection. Here are several things that you need to pay attention to. It is important to remove the lenses, clean them thoroughly and store. You should wear glasses till it heals. Cool compress is better for allergic conjunctivitis, whereas for an infection, a warm and moist compress feels more soothing. It helps in reducing the swelling and redness. Separate compress should be used for your eyes to avoid transferring, especially after the incubation period for pink eye. It is important to keep the eyes clean by wiping from inside out. A clean cloth or cotton should be used in single stroke and avoid pushing the drained fluid back into the eyes. It should be discarded immediately or put in laundry. Wash hands thoroughly after wiping. Antibiotics are administered for bacterial infection as drops or ointments. No medicines are given for viral infections. When allergens are involved, anti-allergic medication is given in form of pills or drops. The eyes should not be exposed to further allergens, as it can worsen the condition. 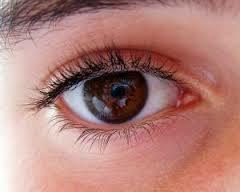 Irritants can be removed from the eyes by washing. If irritant is a harmful substance like acid, medical help should be sought as soon as possible. Incubation period for pink eye caused by virus is around 12 hours to 3 days and a person can go back to work or school when the symptoms improve. That would be in 3 to 5 days. For bacterial infection, the person can go back to work 24 hours after antibiotic has been administered and symptoms start improving. When a lot of children at school have conjunctivitis, you’d better not send your child to school till the infection is cleared. When someone who has pink eye works closely with you and shares equipment, you should ask him or her to return to work only after the discharge clears.